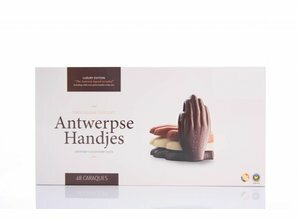 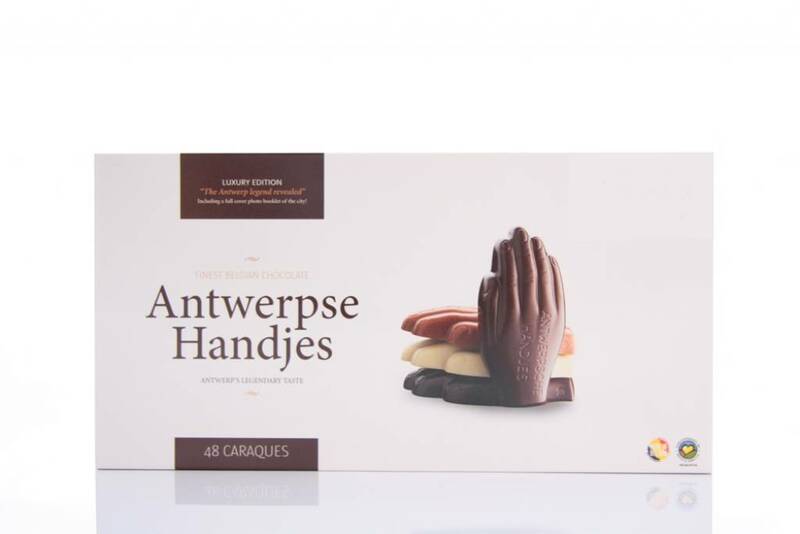 The famous Antwerp Hands, a traditional quality product from the city of Antwerp. 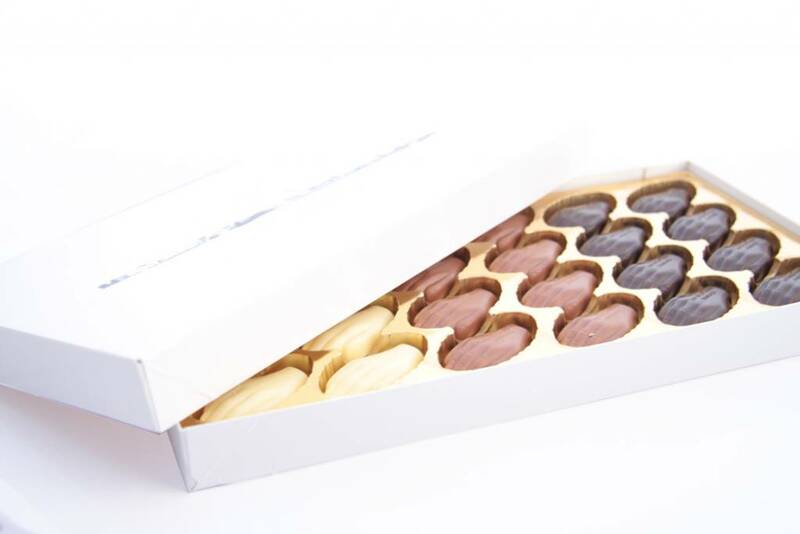 This large luxury box contains 48 hands made of white, milk and dark chocolate. 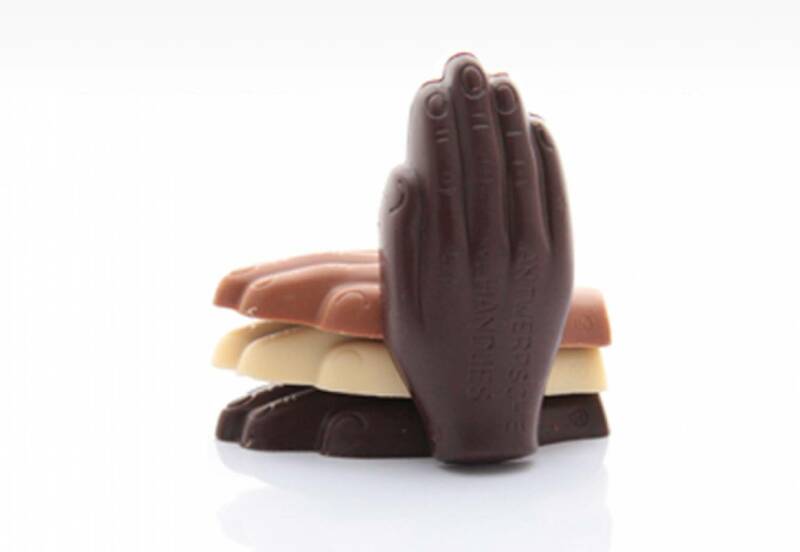 These hands have no filling inside.